Angela, a 45-year-old single mom who lives in Bellevue with her sister and two teenage children, worries about the possibility that she may not be able to renew her green card. That’s because she received medical care while she was on Medicaid. Angela is originally from China, but moved to Australia about 20 years ago. She has been a U.S. green card holder for 10 years. She has applied for citizenship for herself and her daughter. Last week, proposed regulations were published in the federal register, broadening the criteria by which authorities may deny permanent resident status to immigrants who use federally-funded services like Medicaid, housing support, food stamps and Medicare prescription subsidies. Although the changes would not be applied retroactively, many immigrants like Angela fear their past enrollment in public programs, even those currently exempted by the draft regulation, could be held against them. Like Angela, many immigrants in the U.S. support themselves and their families through low-wage jobs without health insurance and depend on Medicaid, housing subsidies or food stamps to help feed their families. Critics say the proposed rules constitute an attack on the most vulnerable members of society and risk a public health crisis with costly ramifications for the nation’s low-income immigrant population. The new proposal also outlines other factors that could make it easier for immigrants to be deemed “public charges,” such as not having a college education, speaking English with limited proficiency or simply being under age 18 or over age 62. 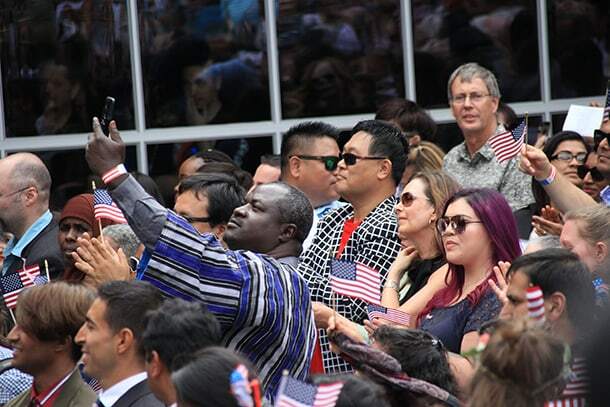 Diane Narasaki, director of Asian Counseling and Referral Service (ACRS), called the proposal “insidious.” She noted that ACRS programs reach over 35,000 patients every year, a majority of whom are immigrants and refugees. Like Narasaki, Dr. Asqual Getaneh, medical director at International Community Health Services (ICHS), pointed to the potential widespread impact on immigrant families. 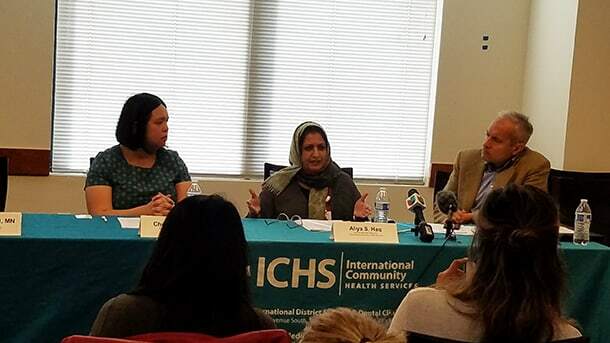 She noted that approximately 17,000 of ICHS’s 30,800 patients receive Medicaid. Over 80 percent of them are people of color and 55 percent need interpretation services. The new rules were published on October 10. They will not be finalized until the public has a chance to file comments during a 60-day review period ending December 10. Both ACRS and ICHS are spearheading a state-wide effort to gather 4,000 public comments. This effort is part of a larger organizing effort by Protecting Immigrant Families to amass over 100,000 unique comments. ACRS and ICHS have each set a goal of 100. Protecting Immigrant Families – Washington Coalition at a Sept. 25 press conference following the initial release of the draft public charge proposal. Photo courtesy of ICHS. Joseph Lachman, civic engagement program manager for ACRS, is one of those leading the state-wide effort. He pointed out that he is a descendant of Japanese Americans who were incarcerated during World War II. “Knowing the struggles my ancestors went through to be in this country, I want to make sure that no one ever has to choose between a green card and taking care of their loved ones,” he said.